This standard 10-day tour program is developed to show you the island’s most famous places. If you choose this program you will spend full 7 days on the island where tourist groups are guided by local English-speaking guides. The program includes outdoor meals. Do not forget a few spare batteries for your cameras and memory cards. Meeting at the airport and receipt of a visa, transfer to the hotel of the category you specified. 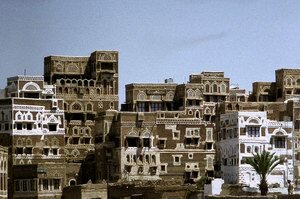 Guided sightseeing tour around Sanaa. Vising Military and Historic Museums in the morning. Having dinner at Shibani, one of the best restaurants of the city (an average invoice sum is 15$). After dinner – the Old City walking tour. Sightseeing tour outside Sanaa with an English-speaking guide in comfortable Land Cruisers. Visiting Tawila, Kaukaban, Shibam and Thula villages. Having dinner outside Sanaa. Coming back to the hotel. 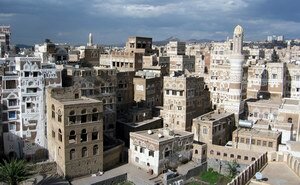 Visiting Zakati, Bakor and other interesting places in the Sanaa’s suburbs is optional. Flight from Sanaa to Socotra by Felix airline. 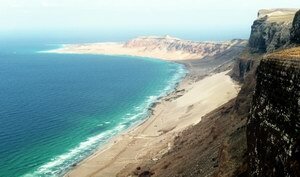 Beach break on th northern coast of Socotra. Hotel accommodation and having dinner in Hadiboh. Coming back to Hadiboh and spending the night at the hotel. 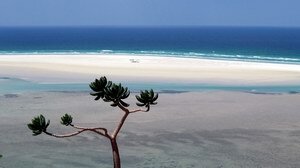 Transfer to the western part of Socotra, visiting Detwah lagoon. Beach break before and after dinner. We would recommend you to walk from the viewing point (see the photo above) to the camping site. It will take for about 2 hours of slow walk (do not forget to take with you water and a flimsy scarf). After dinner it is good to climb the mountain to the east of the lagoon where you will be able to enjoy great views. Coming back to Hadiboh and spending the night at a hotel. 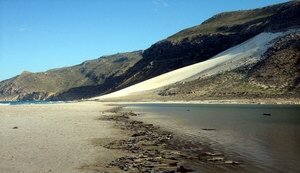 Transfer to the south coast of Socotra by the beautiful road leading through red mountains located in the eastern part of the island. Seeing dunes and having a break on a wild beach to the east of Aomak. Visiting Debug cave, having dinner at Aomak camping. 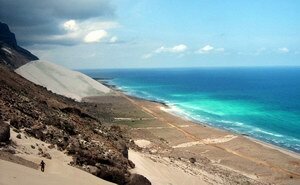 Transfer to Stero, where you will see snow-white dunes especially beautiful before the sun goes down. Coming back to Hadiboh through Dixam Plateau. Sleeping at the hotel. 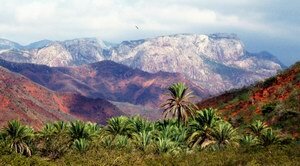 Visiting Ayaft Gorge, one of the most beautiful Socotra’s places, a habitat of incense trees. Having dinner in the shade of age-old trees, walking to a fresh water pool, enjoying glorious views of Skant rock massif before the sun goes down. 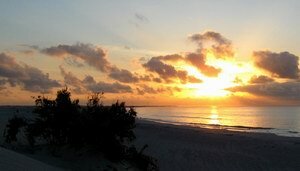 Coming back to Hadoboh, on the way – enjoying a sunset on the beautiful beach near the airport, sleeping in a hotel. 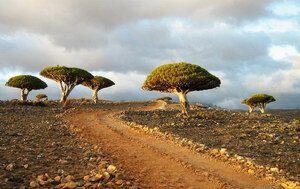 Transfer to Dixam Plateau located in the central part of the island, a habitat of Dragon Trees. Going down to Wadi Dirhur canyon, swimming in a fresh water pool, walking through the canyon. Having dinner in the shade of palms. 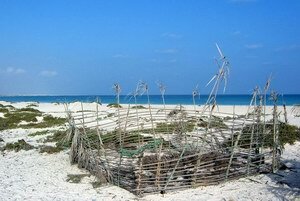 Transfer to the eastern part of the island and seeing sand dunes in Archer. Stopping at the fresh water stream flowing out of the rock between dunes, climbing on top of the dunes (do not forget to protect your cameras from sand) and, afterwards, swimming in the clean fresh water are optional. Having dinner at Rush camping. After dinner – a beach break on Ras Erissel Cape, the most eastern point of the island. Coming back to Hadoboh, sleeping in a hotel. Visiting Mumi plateau famous for its sceneries. Going on dinner to local community. Flight to Sanaa by Arabia Felix airline, visiting the Imam’s palace (outside Sanaa), having dinner at Shibani restaurant in Sanaa, walking around the Old City, shopping, enjoying free time*.